Why to choose front service led display? Front service led display is required by more and more clients. When it hasn’t space on the back, front service screen will be the first choice to be considered. It actually also reduces the complexity to maintain the screen when you just walk to the front, without going through the high-temperature and narrow passage. And sometimes the screen rear is kind of dangerous place possibly to get you scratched and easily make you handling wrong. It’s widely to use front led display in indoor places like retail stores. Especially, a meeting&control room often ask fine pitch led displays to be wall-mounted, leaving no space on the back. 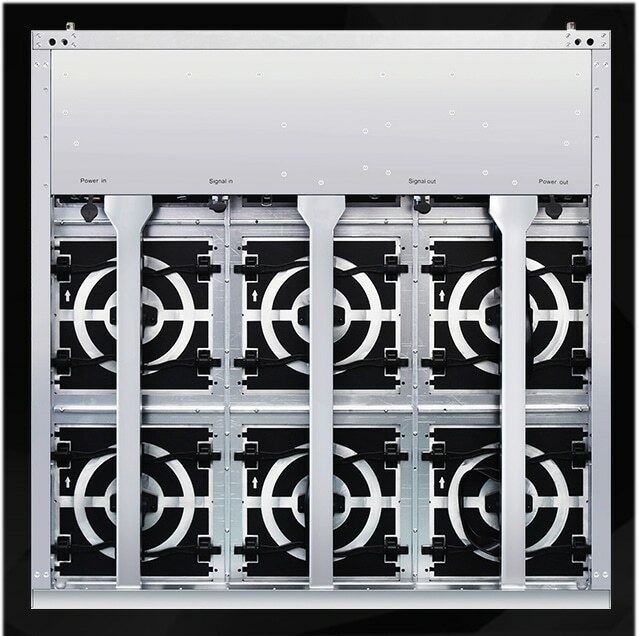 For outdoor screen, front-service design also has big advantage on maintenance and space-saving compared to rear access cabinets. But the old-design front-service outdoor display uses heavy steel cabinets only available for bigger pitch. 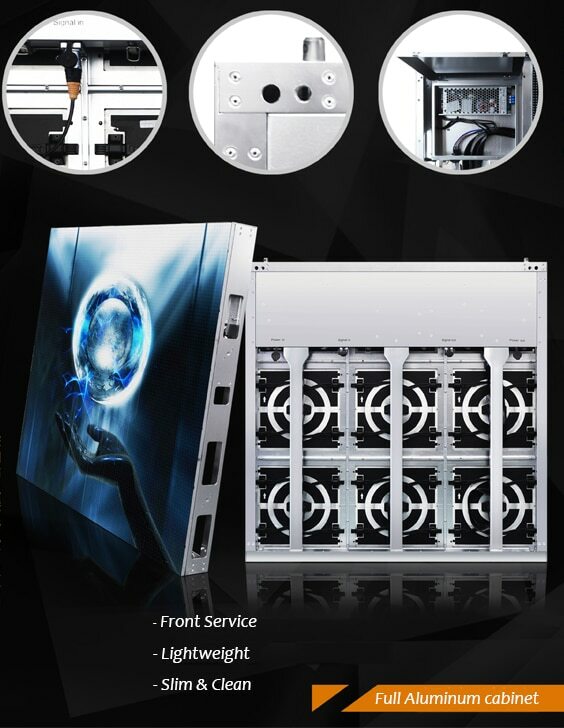 3CINNO’s new front outdoor display solution develop revolutionary new design by assembling IP67 aluminum-based modules on simple cabinet. 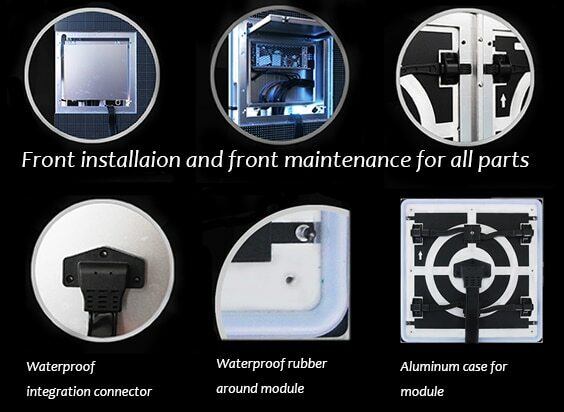 It uses one integrated connector which even make inexperienced workers handle the module easily.